How did you and Blake Edwards get in touch with the Pink Panther titles? We need to turn the clock back to around 1963. I had known Blake throughout the years on a friendship basis. And I got this call one day to come over and see him and I did and he handed me this script and I looked at it, and it's called The Pink Panther. He went on to say "I'm going to Rome to shoot this movie very soon and although it's a live-action movie, the idea of a Pink Panther really makes me want to have an animated character and I don't know what I'm going to do with it, but can you guys come up with an idea?" So I went back to the studio and got together with Friz and...actually, one of our very important layout men, his name was Hawley Pratt. Hawley was the most instrumental in creating the original Panther. We must have come up with a hundred or more different drawings, variations, on what the Pink Panther is. We took these drawings over to Blake's house and laid them all out for him. He's a very decisive guy and he walked over and he said that's the one I want and he picked that particular drawing and the Panther was born. He went off to Rome to shoot the movie and the only thing he used the Panther on was on the letterheads and business cards and that sort of thing. Friz and I didn't have any idea of where it was going to go from there. After the picture was completed I got a call from Blake and he said "I have a film in the can now and I would like to tell you what my thoughts are, so come on over". So I went over to see him and he said "now I know exactly what I'm going to use with this character. I want you to create a main title sequence for my movie where the Panther will come involved and work with the different credits." That's exactly where the Panther was born. We went on to create a storyboard with the character involved in all of the main title credits and he thought it was great. He had to take it over to the Mirisch Company, which was the production company for the film, and had to get the budget OK'd. It was quite an expensive operation. To my knowledge it was the first time that there had ever been an animated main title that featured complete, full animation throughout the title itself. It was expensive, but he got the budget cleared and went ahead and made the main title. What was the reception with the title? The reception was magnificent. We took the picture out to preview at Village Theatre in Westwood and when the titles came on, people got up and they were jumping around and screaming and yelling and at the end of the title sequence they had to turn off the projector and turn on the house lights because people were just going really crazy about it. So it came off with a very, very good start. 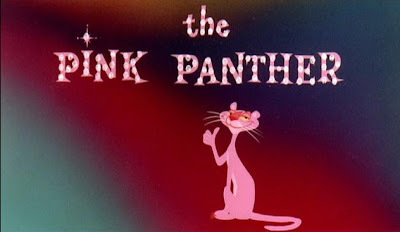 I had the idea that maybe there was life in this Pink Panther after this main title sequence. To make a long story short I was able to convince the Mirisch Company and United Artists to give us a contract for Pink Panther shorts. You have to remember that this time in the animation business the cartoons were theatrical cartoons. The theatre owners ran a cartoon and a newsreel with the feature picture so that was the format. I was able to get a very large contract from United Artists that surprised me at the time. We got a contract for 156 six-minute theatrical shorts. So we were in business and moving right along so that really basically how it all got started. Then the Inspector series came along. The Inspector was the second. After we had started, we probably made around 13 different Pink Panther cartoons and we were asked by United Artists to come up with another character to work in conjunction with the Panther and that's when we decided upon the Inspector Clouseau character in animation. I would say that was probably a year to 18-months after the creation of the Pink Panther himself. Then you would enter Saturday Morning, starting with The Super 6. We made the decision to get into Saturday Morning television and you're right, the first all-new show that we made for NBC network was Super 6. That was our first effort into television itself. 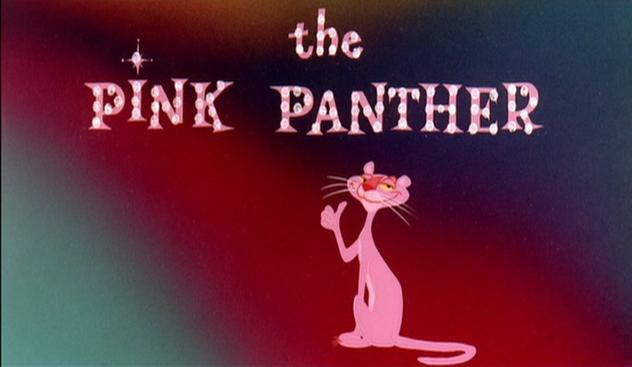 Now of course, later the networks, primarily NBC, bought the Panther for Saturday Morning television and it was on the networks for 12 to 15 years continuously in various formats. The existing theatrical cartoons with bridge materials, very much like what Warners had done previously, and some of the television shows were new, where we actually made Pink Panther cartoons for television. How did the studio expand with the production of both the TV series and the theatricals? Well, we had alot of materials going through. At the high point of the studio in production, we had close to 400 people in the studio so it really went from nothing to quite a large operation. Not as big as Hanna-Barbera but it was there. 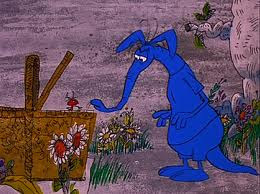 After the production of The Inspector ended there was an introduction of new series with Roland and Rattfink, Tijuana Toads, and The Ant and the Aardvark. Yes, and The Blue Racer. These were all different cartoons that our distributor, United Artists, asked us [in order] to vary our production. And they were all quite successful...We're getting to the point where I have to tell you that the theatrical cartoon persay, had really died. It was in the early '70s when the theatre people said we want to run the feature continuously. We don't want any interruptions with a cartoon or a newsreel. So my point here is, at that time, basically everything we were doing was directly for television. John Dunn was responsible for most of the stories. John was our head writer. He and I worked very close together. I was involved with the so-called literary end of animation while Friz was involved with the actual drawing part so I worked very close with John Dunn and he, probably, was the best creative mind, story-wise, that I had ever worked with. He was responsible for the success of the Pink Panther and it was one of his original ideas that we keep the Panther as a pantomime character. As you probably know, up until more recently the Panther never had a voice. This was a conscience decision that I made with along with John Dunn early on in the process. At start, the directors were Hawley Pratt, Gerry Chiniquy, and Bob McKimson. That is correct. Pratt, as I said earlier, was a layout artist and we promoted to directing once the Pink Panthers got underway [...] he was mostly the director on the Pink Panther for many years. Warner Bros. eventually decided to re-open the studio in the late '60s. I didn't really have anything to do with that. At this point in time our lease on the Warner studio has expired and in about 1970-71, DePatie-Freleng moved into its own studio away from the Warner lot. There was a period where the Warner Bros. was still dormant but they made the decision to get back into business and we had nothing to do with that. Bob McKimson would briefly leave the studio to work at the new Warner studio. Well, he only directed half-a-dozen cartoons there, so yes, it was short. He would've been the only one available of the original Warner directors because Chuck Jones was off on his own and of course Friz was with me, so McKimson was it. Art Davis would eventually become director. Artie was an animator and eventually the production grew in volume and we needed an additional director and Artie was it. Great interview! I wonder if David DePatie talks about subcontracting Blue Racers and Hoot Kloots to overseas studios in Part 3. For that, it would be interesting to contact Robert Balser, who did some subcontracted work for DFE at his studio in Barcelona, Pegbar Productions. I used to know Mr. Balser personally when he lived in Spain. He is still alive, but I lost track of him some years ago when he retired to southern France.